'Star Wars: The Clone Wars' Strikes Back! 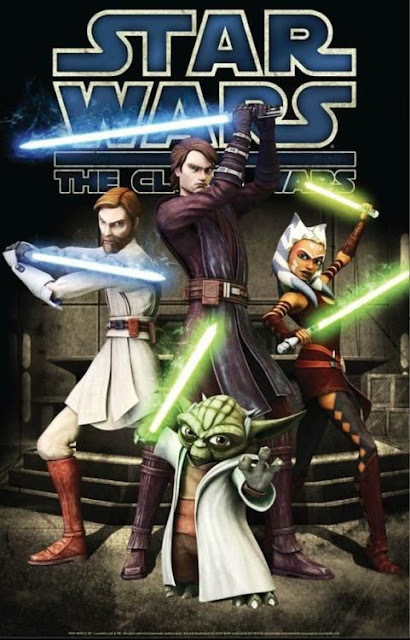 In a surprise move, Disney has resurrected the fan favourite Dave Filoni’s CG animated series 'Star Wars" The Clone Wars' for one last season on Disney’s new streaming service. The series was originally cancelled in 2013, a trailer was also released which is below. The Clone Wars ended after five broadcast seasons — just as Ahsoka left the Jedi Order. A few post-Season Five episodes were later released as “The Lost Missions,” but the story wasn’t over. Fans have clamoured for Disney and Lucasfilm to finish what was started ever since. And now it’s actually happening.